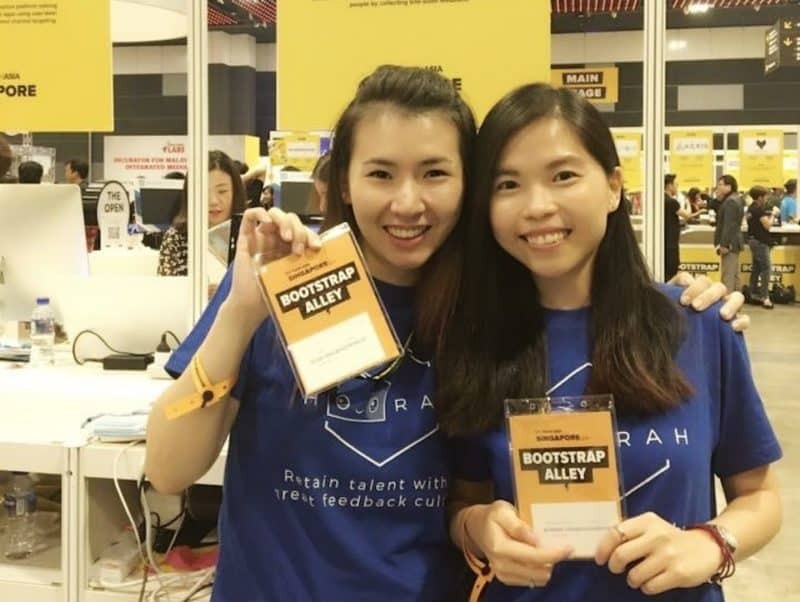 Having been involved in tech recruitment, I know how challenging it is to find software people in Singapore. For every one of them, they probably have a dozens opportunities lined up for them. So I really paid attention when I learned about Elisa. 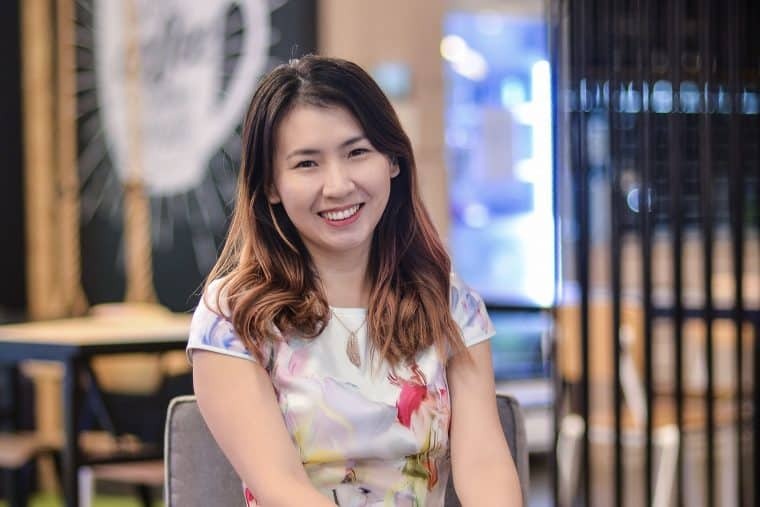 There isn’t many ladies in development work, less so for one who is an expert in data science. The funnel gets even smaller for one who founded their own startup…while she was pregnant. And in an increasing world of fluff-selling startups, it is refreshing to hear from someone with product development perspective. I am the sole tech founder of Hoorah and built version 1 of Hoorah by myself, full stack – from the database, apis, all the way to the homepage and dashboards you see on hoorah.io. I have always enjoyed coding since my poly days, and my last 6 years as a data analytics consultant honed my soft and business skills. 2. What’s your first paycheck? My first pay check was when I was still studying for my degree at the University of Manchester. I was doing freelance development work in perl and got paid for every task I completed. Before I started Hoorah, I worked at KPMG for 6 years. I started out there in forensic data analytics, where we helped companies uncover fraudulent transactions, and then moved on to being part of the pioneer team of a new department, Digital + Innovation. In that role, I led a team of data scientists. 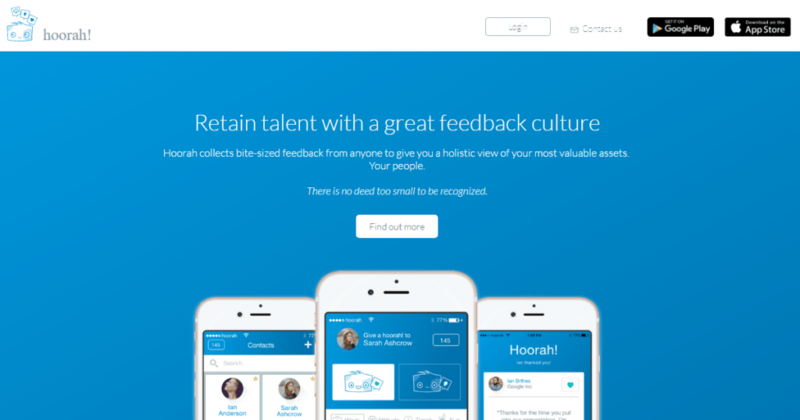 Hoorah aims to disrupt the employee engagement space, and is an app that gives staff the opportunity to give and receive professional feedback – both internally and externally. I was inspired to create our platform after observing feedback behaviours and management styles over the 12 years of my career. When I eventually moved up to a management role, I found myself grappling with managing the performance of my team. I wished that the process was more efficient, and that there was an easier way to gather feedback data continuously on my team members, which would allow me to have more informed and higher quality conversations with them. There were many issues people were facing with regards to getting or giving feedback. It was usually a case of ‘too little too late’. No matter which company you work for today, what determines your success in your career is who you work with and how they view your performance. How can you level up in your career if you’re not provided with constant, cyclical, and fairly assessed feedback from your managers and peers? Whilst I have been blessed with great bosses in the past, I created Hoorah because I want to give the underrepresented a fairer, more level playing ground. At the same time, I wanted to make the process much more efficient and transparent, saving a company time and making performance appraisals data-driven, which means everyone is measured against a more similar yardstick. It is not the silver bullet to people issues, but having data drive these conversations and decisions is definitely where the industry needs to head. To date, there are simply been few products in this market that allow them to do this easily and cost-effectively. When I was contemplating quitting my job to build Hoorah, we discovered that I was pregnant. It was a huge blow to my decision making, as I had to decide whether I was willing to take the maternity leave pay hit financially. In the end, I chose to resign. My thinking was that there would always be a reason to delay making the jump – and you just have to leap. In the startup world, speed is king. Ideas alone are meaningless – it’s about the speed and ability one can execute and turn the idea to reality. 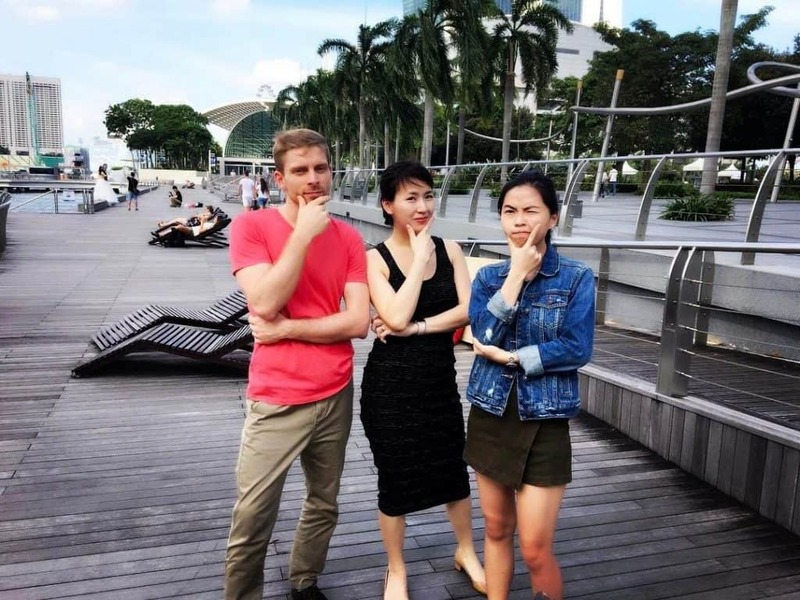 Luckily, I later discovered the Singapore government is awesome, and that you don’t need to have a full time job to claim a maternity grant. So, I made the right choice. Apart from financial sacrifices, the more important and painful sacrifices are the ones I make everyday. Not being there for my 3 kids is hard. These days, it’s difficult for me to take time off to look after one of my children if they are sick – work still needs to be done, and I still need to parent. It’s a very tough balance. Thankfully my husband and parents are very supportive. Running a business means I am overloaded with things to track and do. I ended up not paying close attention to my eldest son’s work in primary 1. I didn’t even know he had his term 2 tests until he passed me his report book proudly. Again, I am super lucky to have such well-behaved sons, and a husband who does all the revisions and homework with them every night whilst I entertain my youngest son, who is 15 months old now. Once I had my first version almost ready, I went around pitching Hoorah to people I knew who had money to invest. The angel was sold on my abilities to take an idea from paper to reality, and decided to invest in me. We are currently exploring all channels accessible to us, which includes personal networks, digital marketing, cold emailing and cold calling. It is something that we are focusing on alot these days and experimenting with different channels and verticals. We had just launched Hoorah in January on the App Store, and we had not really told anyone about it. Then I saw someone had downloaded the app and signed up. Excited, I reached out to the person via email, and he was from a local health services group and was looking for way to easily give and receive feedback in his team. We went down to show him a demo, and he was super excited to test it out. So we did a pilot shortly after. Even today, I have no idea who the kind soul was who told him about Hoorah, but I am extremely grateful! 9. Describe your typical work day? Without fail, the first thing I do everyday is buy a cup of coffee from Coffee Bean! I usually have my week planned out in advance, as I wear many hats as the sole tech founder – from tech development of our dashboard, to building and designing the homepage, to product design, to building machine learning models, to marketing, to business development and company administration stuff. It is not possible to play so many different roles at the same time, so the only way to manage this is by blocking out days or time for each role, depending on what the business needs the most at that time. I live and die by my calendar and productivity apps to be able to juggle everything. Our pilot with a professional services firm really makes my heart all warm, fuzzy and proud. The partner truly believes in the value of feedback, and sincerely wanted more feedback from his team to help him make his workforce better, stronger and higher performing. It’s wonderful to work with leaders who truly want to make a difference in their organisation, even with the little things. For example, this leader received some feedback about the first aid box in his office not being well-stocked, and within a day he had dealt with it. As a partner in his firm he has a million things on his to-do list, but because he received feedback from a staff member that this was important to them, he dealt with it immediately. 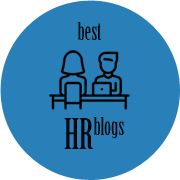 You can see from the feedback he receives from his team that they are very pleased to have a boss who listens to them – even when the matters might seem small. I wish all bosses were like this! The downside of working in this field is discovering that there are many leaders who are terrified of feedback, and do not even want to be able to receive it. Many leaders have gotten accustomed to ruling like an emperor, and do not see the value of bottom-up feedback. They are only keen on top-down. It can be disheartening to meet these sorts of leaders on this journey – however, I see it as our mission. For Hoorah to start a revolution and change the way workplaces are run today, especially in Asia. This is what drives us everyday, and encourages us to continue to make Hoorah easier to use. This is a tough question, because I cannot pick just one person. How I approach my work is heavily influenced by many people and communities. My mum, for her ever high expectations of me since I was young. Smart and meticulous people whom I’ve worked with that showed me how having some structure makes me a lot more productive. Ex-bosses who each have taught me various important skills, and online communities who selflessly shared their productivity workflows for me to take inspiration from and tweak to suit my own. 13. If you could go back in time to speak to your 20-year-old self, what would you tell her? Play more, enjoy life more. YOLO! That ideas are precious and you should never share them with anyone, as they will get stolen. On this journey, I’ve learnt that whatever brilliant idea you think you’ve got, someone else in the world has already thought of it. Ideas are cheap – anyone can have them. The real difference is in the execution of the idea. Startups are like mayflies, with short lifespans. This year, we are pushing ourselves hard to shine as brightly as we can in all aspects. We don’t have the luxury of time. We’re talking one year to meet all our milestones across sales, marketing and product development. They’re all dependent on each other, so we are just going hard! If something takes less than a minute, knock it out first. Record every single task that you need to deal with in your to-do list app of your choice. Ensure your calendar is accurate and up to date. Use time blocking to save time for important, major tasks. Plan your major goal for each week, then review and plan each day. Things don’t always go as planned, therefore the daily reviewing and adjusting of plans is necessary to ensure you still meet your main objectives by making calculated trade-offs where necessary. Do this either last thing at night or the first thing in the morning, depending on your routine. When sh*t hits the fan, take a step back and prioritise! You will often find that things are not as bad as they seem, and there is a way get it done with skillful planning and focus. Can I name a few? There are too many! My calendar, my todo list app (just switched to Things 3 from Omnifocus), an email client that has templates ( I shuttle between Airmail and Postbox), SourceTree so that I don’t have to remember git commands to push code, PyCharm so I can do everything in one place from coding to checking out my database. Last but not least, Powerpoint! Keen to learn more about Elisa and what she does?